Legendary rock band The Who will play ten dates across the UK this June. The group will be performing their iconic album ‘Quadrophenia’ in its entirety as well as a selection of their most well-known hits. 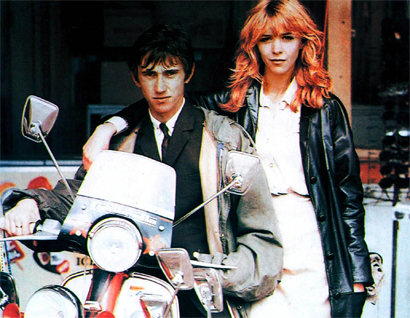 The critically acclaimed ‘Quadrophenia’ was the band’s second rock opera and a loosely based film was created featuring Sting, Ray Winstone Phil Daniels and Leslie Ash (pictured below). The album reached number 2 in the UK chart in 1973 and massively influenced UK style, fashion and culture. It featured classic Who songs such as ‘The Real Me’, ‘5:15’ and ‘Love Reign O’er Me’. The ‘Quadrophenia & More’ tour will feature a new concert version personally directed by lead singer Roger Daltrey. The performances will focus on the original album and replace the narrative used in previous stage versions with powerful imagery projected on an array of massive screens.